Vieira is hopeful of a strong reaction from City for the upcoming game. 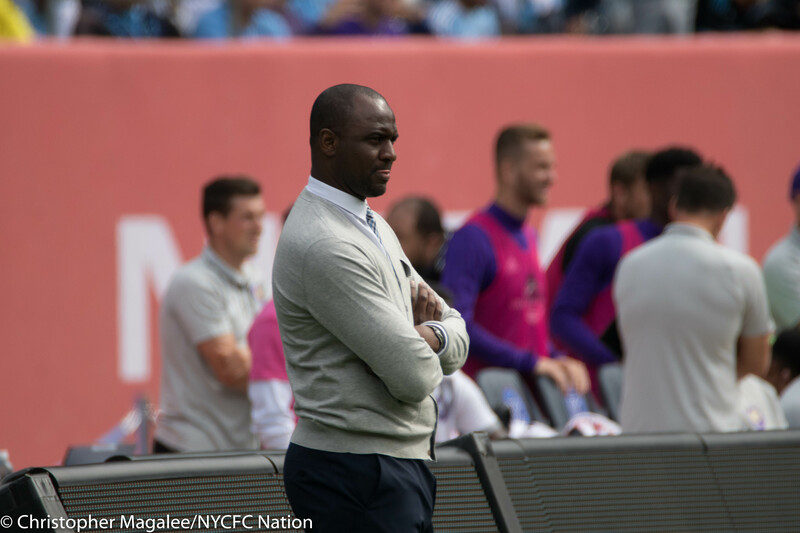 New York City FC are coming into the game on the back of a defeat against Orlando City SC in a game which seen Cyle Larin continued his emphatic goal scoring exploits against NYCFC. Larin has now scored nine goals in the past seven games between NYCFC and Orlando. Orlando opened the scoring in the 31st minute through Larin, who scored a brace on the day. His second goal came just after half-time in the 51st minute, from a Donny Toia assist. City however were able to get a goal back through none other than David Villa in the 74th minute, following a clever free-kick routine with Maximiliano Moralez. Unfortunately for Patrick Vieira and his team it was too little to late, as Orlando were able to shut up shop and leave with all three points. As for ‘the Crew’ they too are coming into the game following defeat. They lost 2-0 against the New Jersey based New York Red Bulls, in what was a fairly comfortable win for the home side. A goal from Alex Muyl and a penalty from Daniel Royer was enough to secure all three points for the Red Bulls, who extended their unbeaten run at home to over a year now. The last time New York City faced Columbus Crew SC was in October 2016, in which they won 4-1 with goals from Steven Mendoza, Jack Harrison, Khiry Shelton and of course Villa. If one thing is almost guaranteed in this upcoming fixture it is that of goals. In the last 5 meetings between the two clubs, there has been an outstanding 23 goals scored collectively by both teams. For New York City, Rodney Wallace will be vital to any success that they may have. With the injury of Ronald Mataritta, Wallace will presumably be asked upon to support whoever may play left-back, or he himself may even play there. 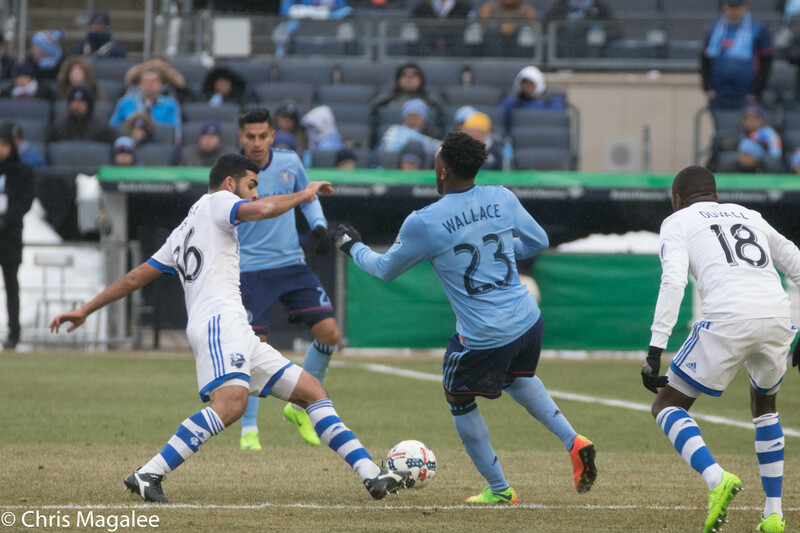 So far this season Mataritta has been amazing for NYCFC, and one of the most important players in the team – as has Wallace, and he will need to keep his early season form up if City are to bounce back from their recent loss. Wallace’s work rate will be as important as ever for a City victory. So far this season NYCFC has conceded just seven goals, so it will be down to Federico Higuain to break down the solidity of the City defense. Higuain has scored seven goals in seven games this season, along with creating four goals for his teammates. Columbus will surely look to Higuain for some magic up top? NYCFC are without Ronald Mataritta (high ankle sprain) and Khiry Shelton (hamstring sprain) for the clash with the Crew. Columbus have a large list of absentees and potential doubts for the game; Gaston Saura (left PCL surgery, out for the season), Ben Swanson (right ankle surgery, out for the season), Connor Maloney (concussion), and Artur (left wrist surgery) are all ruled out for the match. Jonathan Mensah (right thigh strain), Brad Stuver (right elbow strain), Alex Crognale (ankle sprain) and Dilly Duka (calf contusion) are all doubtful to play in the game. Note: all injury/team news is courtesy of MLS Injury Report. NYCFC (4-3-3): Johnson; White, Chanot, Callens, Brilliant; Ring, McNamara, Moralez; Harrison, Villa(c), Wallace. Columbus (4-2-3-1): Steffen; Afful, Williams, Naess, Raitala; Trapp, Abu; Meram, Higuain, Hansen; Kamara.